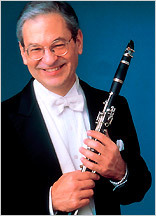 David Shifrin, Artistic Director of Yale in New York; photo culled from the Yale School of Music web site. Too often in concert music, the bassoon, string bass, trombone and others on the lower end of the sonic spectrum are neglected as solo instruments. This premise is the driving force behind the “Yale in New York” series’ De Profundis: The Deep End led by Artistic Director David Shifrin on Sunday, April 1, 7:30 p.m. at Weill Recital Hall in New York City. The concert, which features alumni, faculty, and students from Yale University, will showcase a group of composers who couldn’t be more different stylistically—from the Baroque of Heinrich Schütz and J.S. Bach and quintessential Classical music of W.A. Mozart to the post-Romanticism of Sergei Prokofiev to modernist composers Krzysztof Penderecki and Sofia Gubaidulina. The distinctive instrumentation is front and center: Anton Bruckner’s Two Aequali for three trombones, Gubaidulina ‘s Concertofor Bassoon and Low Strings, Penderecki’s Capriccio for solo tuba are among the idiosyncratic works that eschew the more common instrumentation of solo violins, piano, or woodwinds. The performance of Schütz’s Fili mi, Absalon will employ the original instrumentation of four sackbuts (the precursor to the trombone) and bass voice. For more information about this, the final Yale in New York series concert of the season, go to the Carnegie Hall web site.